Viknesh Vijayenthiran February 20, 2018 Comment Now! 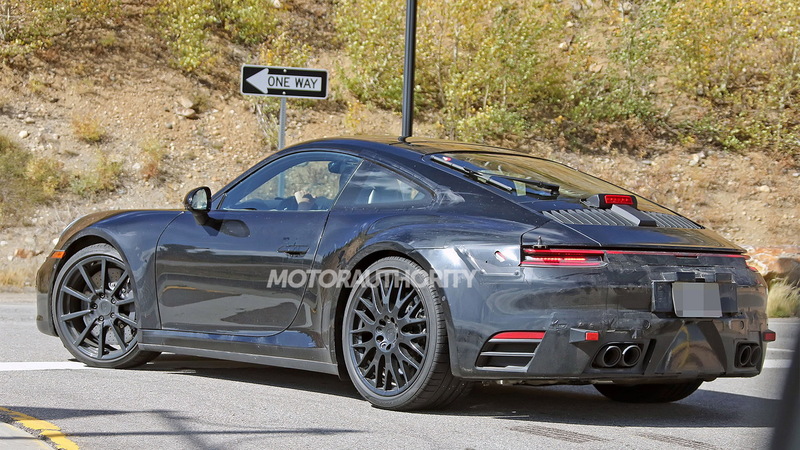 A redesigned Porsche 911 is coming this year, and the first photo of a completely unmasked version has surfaced. The photo was posted to the Instagram account of Nina Stegmaier over the weekend but has since been removed. 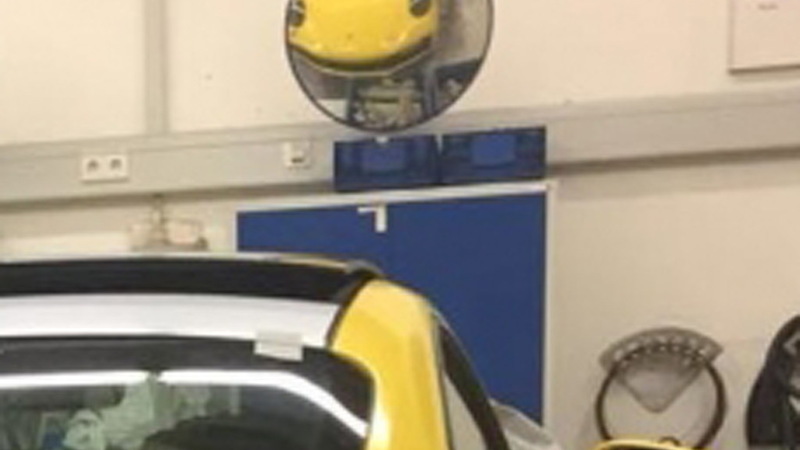 It shows the rear section of what appears to be a 911 Carrera S model, and thanks to a well-placed mirror in front of the car we also get a glimpse at the design of the new 911's face. Clearly visible is the design of the taillights, which we knew from spy shots of prototypes would integrate a strip of LEDs spanning the width of the rear section. 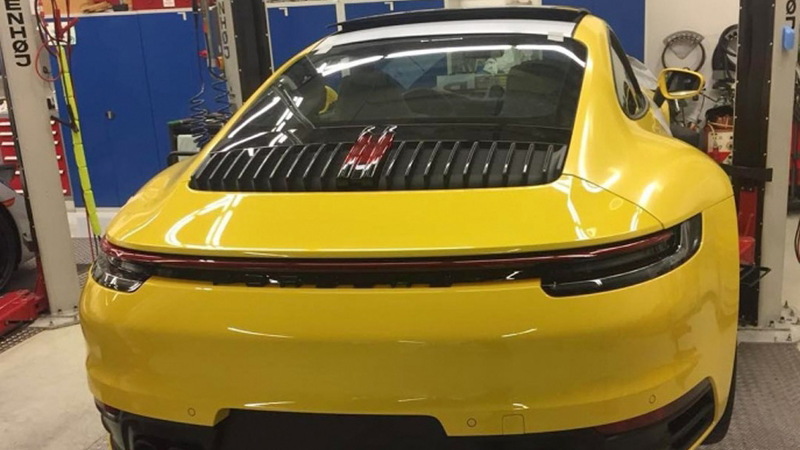 We also see for the first time the placement of the “PORSCHE” letting just below the strip of LEDs, and also new is the huge expanse of black plastic serving as an accent in the rear fascia. We're sure the design will prove controversial, just as it has on other cars that feature it such as the Chevrolet Corvette. 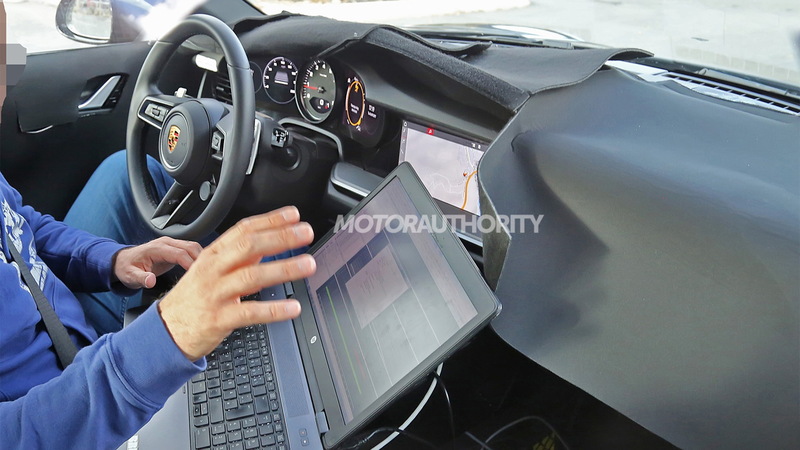 Inside the car will be a mostly all-digital dash, although Porsche is staying old-school by using an analog gauge for the all-important tachometer. You have to respect that. The new 911 represents the eighth generation of Porsche's sports car icon and is expected to go by the code name 992. The outgoing 911 is the 991. 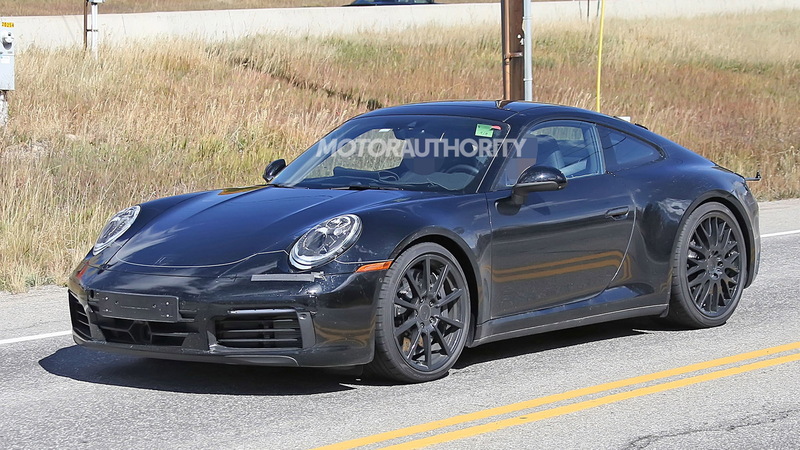 From earlier test mules, we know the new 911 will be slightly wider than the outgoing generation, which should help with stability as well as increase space in the cabin. Underpinning the car is believed to be a modular sports car platform that will eventually feature in a replacement for the 718 and possibly sports cars from other Volkswagen Group brands. The new 911 will be revealed towards the end of the year. It should be on sale in the spring of 2019, and will come initially in Carrera and Carrera S variants. Power for both will come from the same 3.0-liter twin-turbocharged flat-6 engine that debuted in the 2017 911. At present, the engine delivers 370 horsepower and 331 pound-feet torque in the Carrera and 420 hp and 368 lb-ft in the Carrera S. Expect a slight boost for the respective models in the new 911 family. Prototypes for the new 911 Cabriolet and 911 Turbo have also been spotted. A hybrid model is also part of the plan, though it won't arrive until much later in the product cycle. But before the arrival of the new 911 family, Porsche will update the outgoing generation's GT3 RS model. We also hear that a special Speedster model might be launched as a swan song.